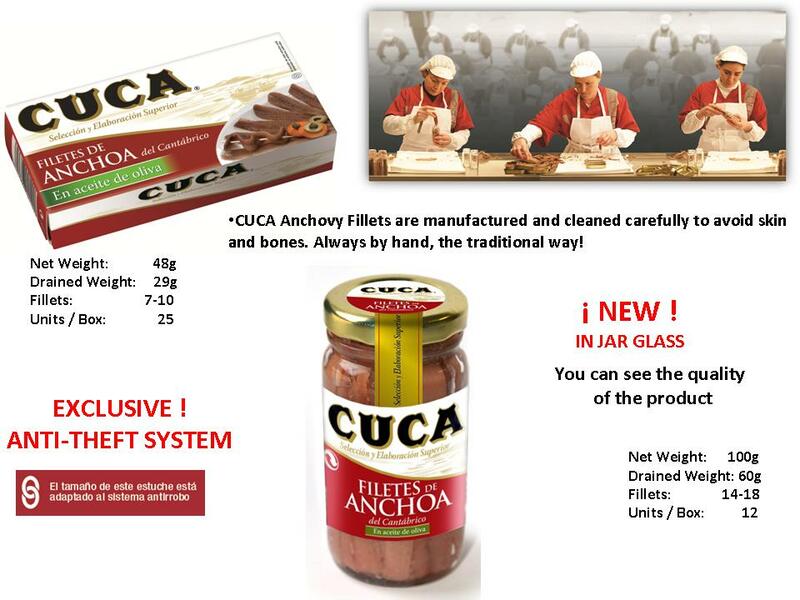 Check our new product Fillets of Anchovy in Olive Oil format RO100 - Jar Glass. In addition, the updated design of CUCA is already present. We will soon update our whole line with this design.